I absolutely hate cable tv. I love having it all those channels, but how many of those channels do we actually watch considering how much we pay to get those 800 channels. Yes, I like having those network channels to watch my favorite shows, HBO to watch movies, and ESPN to watch sports, but I really don't need ESPN 8 ("The Ocho"), Lifetime, CSPAN, the Spanish channels (Telemundo), Home Shopping Network, or any of the other 500+ useless channels that are simply a waste. 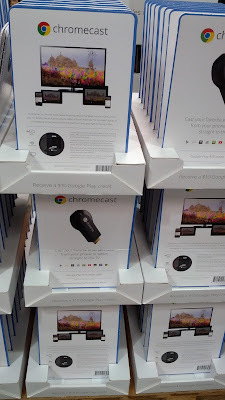 The Google Chromecast allows you to free yourself from cable and the high cost attached to it. With the Google Chromecast, you can stream movies and shows using Netflix, HBO GO, Hulu, or whatever app you normally would use. At the end of the day, you'll be saving a lot of money every month. If you stop your cable service and get a Google Chromecast, it'll pay for itself within a few months depending on your plan. At least with the Google Chromecast, you can also watch movies that are on your iPad (or any other tablet) or iPhone to your tv and you can do it wirelessly. You'll be happy to get rid of your cable bill and free yourself from the oppression of DishNetworks and/or Comcast. The Google Chromecast is just a stick that connects to your tv via the tv's usb connection. Google has always been an innovator when it comes to technology products. They are, after all, the company that introduced us to Android, Gmail, Google Maps, Google Earth, Google Glass, Google+, and many more. 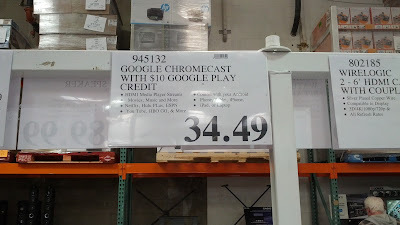 The Google Chromecast bundle even includes a $10 Google Play Credit as well. The Google Chromecast is similar to the Apple TV, so you might even want to check that you if you're into Apple products. You can save money by cutting cable tv and just get an Google Chromecast for your household. You can use the Google Chromecast to stream movies from Netflix and shows from Hulu. The Google Chromecast bundle even comes with a $10 Google Play Credit. Cast your favorite entertainment from your phone or tablet straight to the TV. 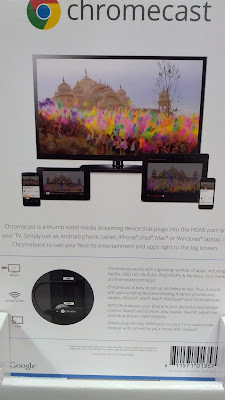 Chromecast is a thumb sized media streaming device that plugs into the HDMI port of your television. Simply use an Android phone, tablet, iPad, iPhone, Windows or Mac laptop, or Chromebook to cast your favorite entertainment and apps right to the big screen. 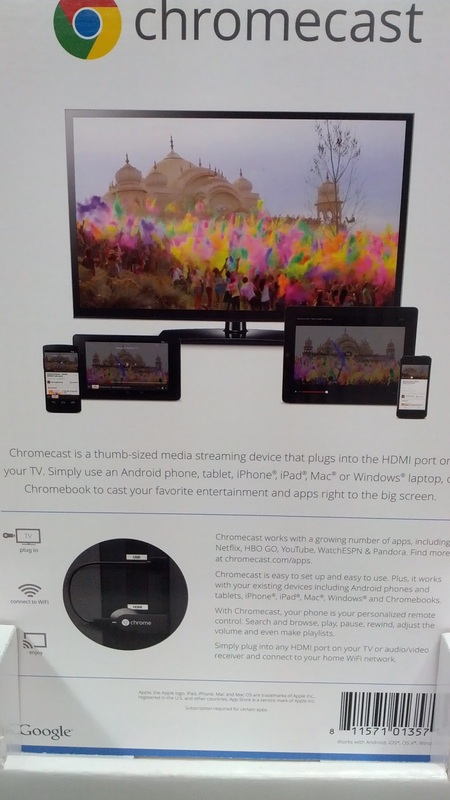 Chromecast works with a growing number of apps, including HBO GO, YouTube, Netflix, WatchESPN, and Pandora. Find more at chromecast.com/apps. Chromecast is easy to set up and easy to use. Plus, it works with your existing devices including Android phones and tablets, iPhone, iPad, Mac, Windows and Chromebooks. With Chromecast, your phone is your personalized remote control. Search and browse, play, pause, rewind, adjust the volume and even make playlists. Simply plug into any HDMI port on your TV or audio/video receiver and connect to your home WiFi network.